Kipper Brighton is the unobtrusive one of her family. Her sister, the always-hyper Petra, is running for district representative on an it’s-time-we-put-more-cats-into-the-government platform. Cats outnumber dogs by four to one in the population, but only one of the forty-six representatives is a cat – and that’s one cat too many, as far as a lot of dogs are concerned, especially those antagonistic toward Petra’s in-your-face style of campaigning. Kipper, as a temp, gets a lot of short-lived jobs, but many lately have been with Luna Tech, the cat/dog company that deals with the otters’ Moon-based colony. ‘What happened to the cat I’m replacing?’ Kipper asked. Kipper finds cryptic scraps in Violet’s desk that, by a stretch of the imagination, could hint that she and the other missing cats have snuck away to a secret cat haven in Ecuador. It seems far-fetched, but Petra enthusiastically accepts it. So when a big, black dog comes to kill Kipper (apparently hired by her own cat boss, Sahalie, for finding out too much), and Petra disappears, leaving a GONE TO ECUADOR! BACK SOON note, it seems perfectly logical. Kipper persuades the ditzy but basically friendly would-be assassin, Trudith – “Black lab mutts weren’t always the brightest.” (p. 45) -- to drive her through Mexico and Central America to Ecuador to follow after Petra. The ten lanes of concrete were dead in the dark of night, and Trudith’s headlights were the only light around. It was rumored that the freeways in the area had remained unchanged since the time of humans, except for normal maintenance and repainting the white, yellow, and dotted lines. It was also rumored that the freeway was only six lanes wide, total, back then. Ecuador may or may not be the home of a secret “Cat Havana”, but it is certainly the well-known terminal of the Space Elevator leading to the otter-run Moonville Funpark and the otter-designed Deep Sky Anchor space station. Kipper can believe more easily in a hidden cat paradise in space than in Ecuador, so she doesn’t waste any time searching in Guayaquil; she heads right for the space elevator. 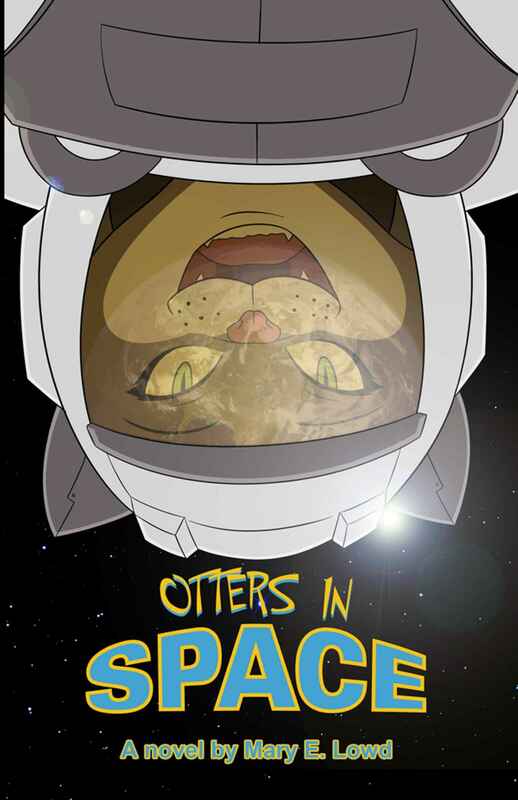 The last 100+ pages tell what Kipper finds in “otter space”. It is a fast-paced blend of hard-astronautical tech run by anthropomorphic animals, and a more complex political situation than she had expected between the cats, dogs, and otters. It’s much more dazzling than she had guessed. All three species have both friendly and unfriendly members. There are other species, too. The space station has an immigrant-squirrel-run restaurant. One of the otters’ space tugs has a giant octopus cook! The otter-run space station and spaceships are so convincingly and appealingly described, even for humans, that I want to go there! 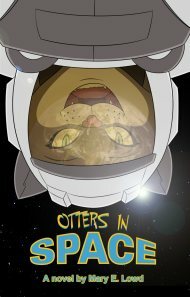 Otters in Space seems to get off to a pedestrian start, but quickly won me over. It is too bad that it can’t qualify for an Ursa Major Award again. 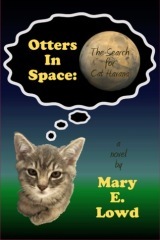 The 1st edition of Otters in Space was published by Smashwords as an e-book in July 2010, and by CreateSpace in paperback in August 2010. It sold so well, and was a finalist for the Ursa Major Award for Best Anthropomorphic Novel of 2010, that FurPlanet has picked it up for this trade paperback edition, with a new cover by Doc Marcus.